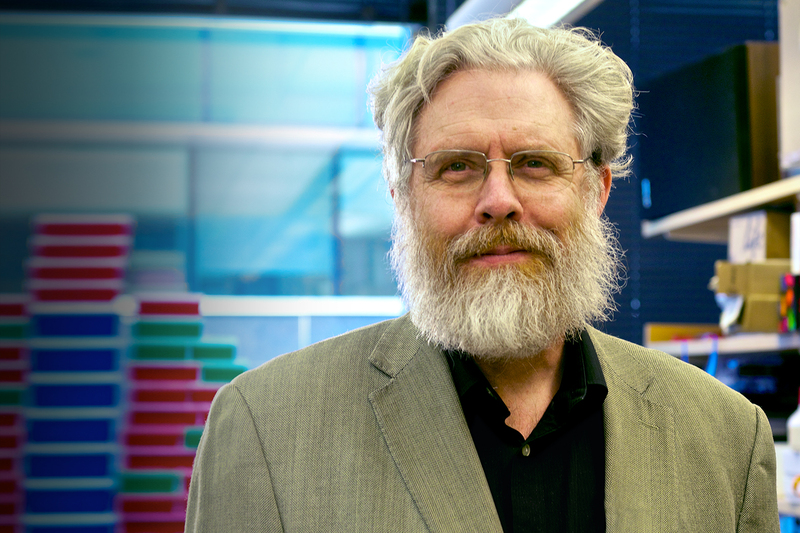 (BOSTON) — The Wyss Institute for Biologically Inspired Engineering at Harvard University announced today that one of its core faculty members, George Church, has been elected a member of the National Academy of Engineering (NAE) for contributions to human genome sequencing technologies and DNA synthesis and assembly. Election to the National Academy of Engineering is among the highest professional distinctions accorded to an engineer. Church, who is also Professor of Genetics at Harvard Medical School and Director of the Lipper Center for Computational Genetics, is known for his many innovative contributions to genomic science, including development of DNA sequencing technologies, advancement of personal genomics with the Personal Genome Project, and fundamental research in synthetic biology. He has also made pioneering advances in the fields of chemistry and biomedicine. In 1984, he developed the first direct genomic sequencing method, which resulted in the first commercial genome sequence, and he helped initiate the Human Genome Project. In 2005, he initiated the Personal Genome Project. He invented molecular multiplexing, second-generation genome sequencing and genome engineering, with applications ranging from human pluripotent stem cells to bioenergy. At the Wyss Institute, Church conducts research into new technologies for genomic and proteomic measurement, and synthesis and modeling of biomedical and ecological systems, with a focus on personal genomics and biofuels. He also leads the Wyss Biomaterials Evolution Platform, which is dedicated to the development of massively parallel capabilities for directed evolution of molecules, polymers and whole genomes for regenerative medicine and bioenergy applications. Founded in 1964, the National Academy of Engineering is a private, independent, nonprofit institution that provides engineering leadership in service to the nation. The mission of the National Academy of Engineering is to advance the well-being of the nation by promoting a vibrant engineering profession and by marshalling the expertise and insights of eminent engineers to provide independent advice to the federal government on matters involving engineering and technology. Church’s accomplishments have been recognized with numerous awards, including, most recently, the 2011 Bower Award and Prize for Achievement in Science from the Franklin Institute in Philadelphia in honor of his work in genomic science. He is also an elected member of the National Academy of Sciences.